We’re a family owned and operated business that makes a living from people who type “sell car” into one of the search engines. Though we bought our first car to fix up and resell in the early 1980s, the Internet has allowed us to grow into a business that buys hundreds of cars every month. We will buy your car whether it is running or not and don’t care about the condition. Obviously, the better shape the car is, the more we can pay for it. The web allows us to keep marketing costs low, and makes it possible to offer the most cash possible for the cars people sell to us. If you are looking to sell a car, we’d appreciate the opportunity talk to you. You can contact us through e-mail, chat, text, phone, or by filling out our simple web based form. We’re based out of Chicago, Illinois, but we buy cars from all over the country. If you need fast cash and are looking to sell a car, we’ll make a fair offer, pick it up for free, schedule pick-up around your busy schedule, and put cash in your hand 24-48 hours after you agree to a selling price. We’re not a junk car buyer, though some of the cars people sell us end up being recycled. Instead, we specialize in buying cars that are still road worthy, or need basic repairs to make them so. Many times we buy cars because you just can’t afford to put the money in for a new engine or transmission and we can because of our volume and network of salvage yards across the country. 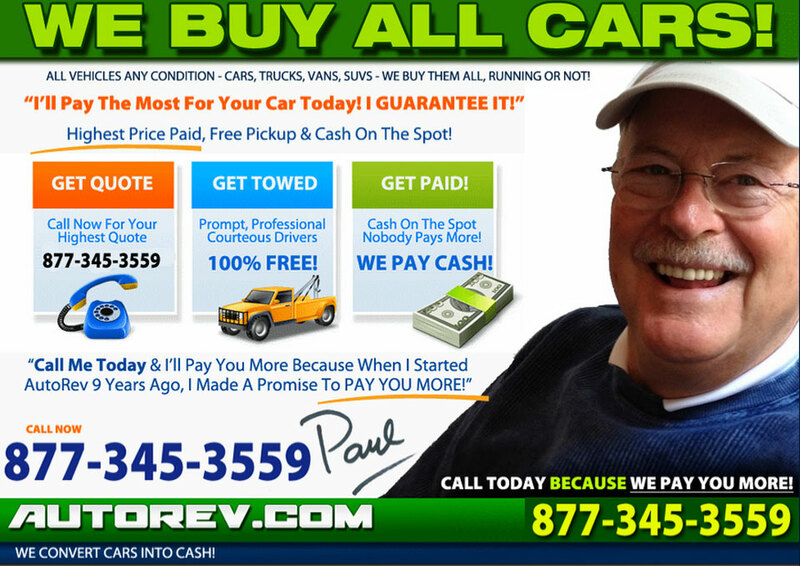 If you need to sell a car, need cash fast, or are simply tired of fixing up a trusted old friend, we can be the answer. We make sure your car is repaired if possible and get it back on the road.